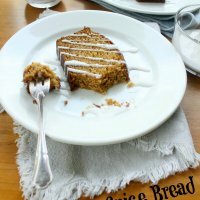 This Pumpkin Spice Bread yields 2 generous loaves and can be customized with your favorite toppings and Vanilla Coconut Icing! Bring this favorite to your next holiday gathering! 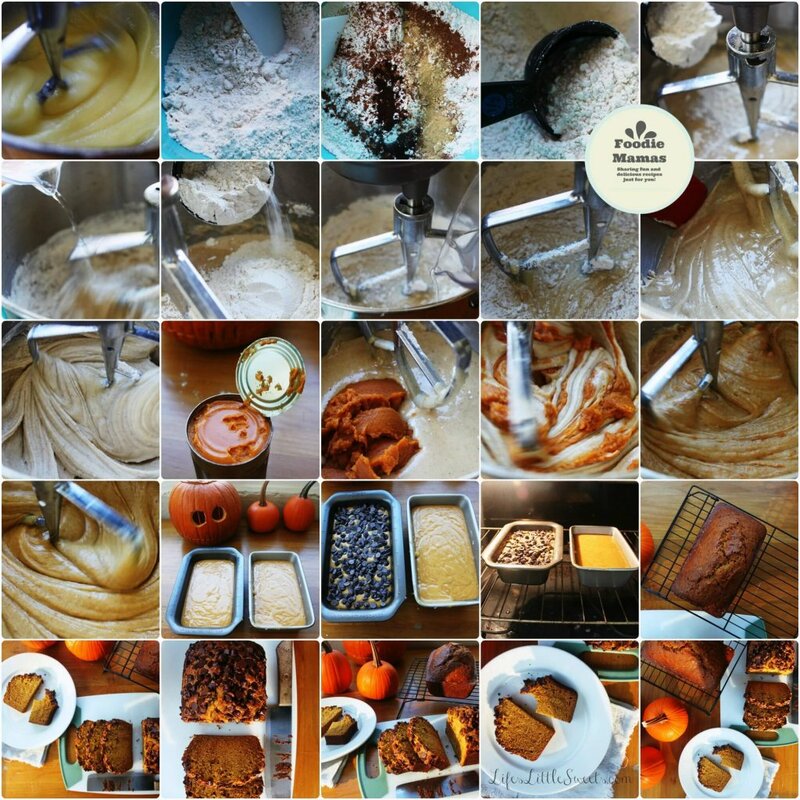 Be sure to check out the other #FoodieMamas pumpkin recipes below! I am honored to have been invited to participate in the #FoodieMamas monthly recipe roundup by Chrissie Baker from The Busy Baker (Thank you Chrissie!). Every month, there will be a new ingredient picked by one of the #FoodieMamas and March 2016 is my month to chose an ingredient! 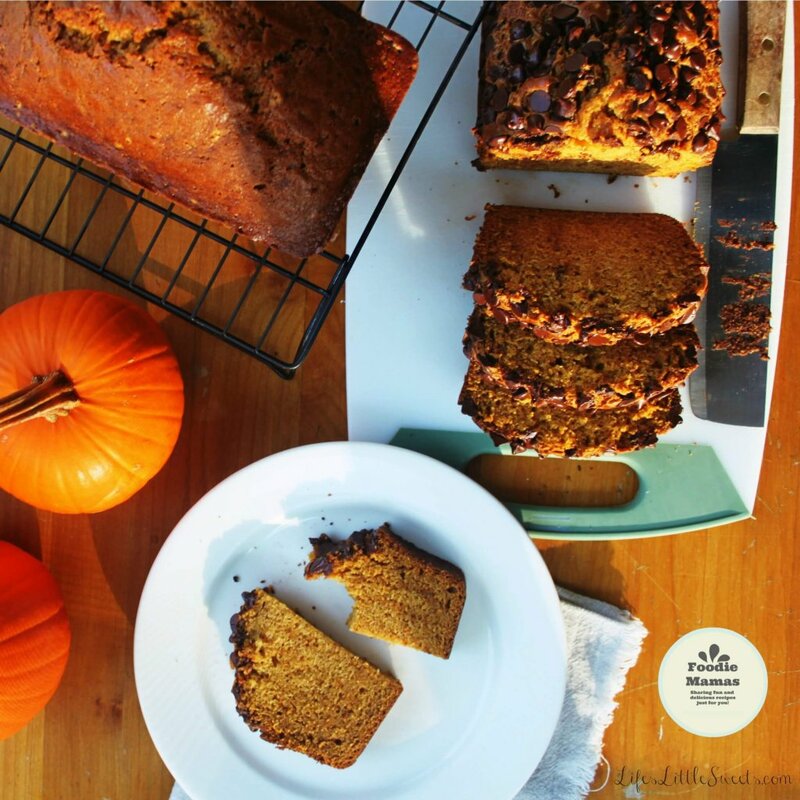 This month’s ingredient is pumpkin which is timely because I have been waiting to unveil my Pumpkin Spice Bread recipe which I have been baking since the end of the Summer (see my Instagram photo below). I made #pumpkinbread, this is the last of my piece, to be continued…. 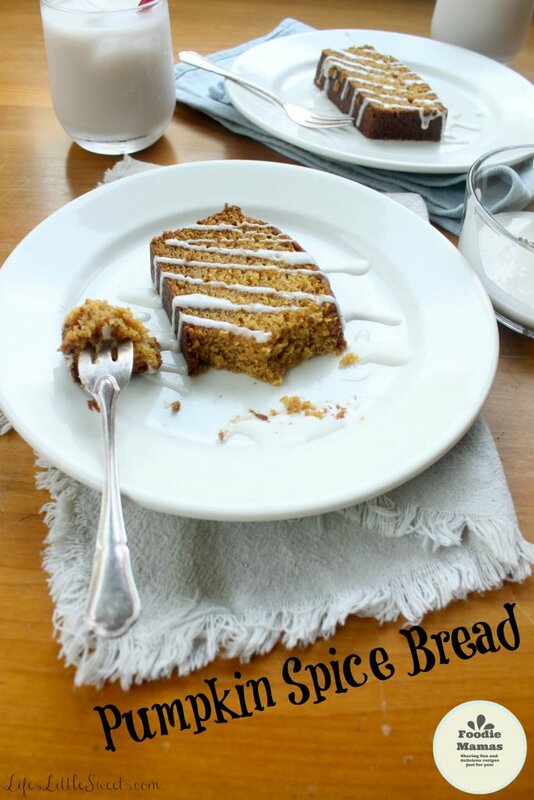 This Pumpkin Spice Bread goes really well with my easy to make Vanilla Coconut Icing recipe. You can have it plain or top it with your favorite toppings, I like to use raw, shelled pumpkin seeds or semi-sweet chocolate chips. Preheat oven to 350 degrees F. Grease two 9x5x3 inch loaf pans (I usually use coconut oil to grease the pans). In a large mixing bowl, beat oil and sugar on medium speed, until combined (scrape down sides, if necessary), then add the eggs and mix until combined. In a separate large mixing bowl, combine evenly flour, baking soda, salt, cinnamon, nutmeg, cloves and ginger. Add the flour mixture to the sugar/oil mixture in 1/2 cup scoops and alternately add the 2/3 cup of water until fully incorporated. Add pumpkin puree until combined (you may need to use a baking spatula to scrap down the sides and the bottom of the mixing bowl so that the pumpkin puree fully incorporates). Divide batter evenly into both prepared loaf pans. Bake in preheated oven for 1 hour *see note below on baking time. When the loaves are done, take out and allow to cool in pans for 10 minutes, carefully remove from pans and allow to cool completely on wire racks. If you used chocolate chips as a topping, they will be warm and melty, I suggest using a couple silicone spatulas to remove the loaves carefully. Serve warm with some Vanilla Coconut Icing! Notes: These loaves are generously sized. I added on an extra 20 mins beyond the 1 hour to get them to be cooked through the center, giving a total cook time of 1 hour. Just pay attention to your loaves as they get close to being done, you can test them by inserting a knife in the center, if they are done, it should pull out clean. If you are concerned about the tops getting over browned, in the last 15-20 mins you can put a vented foil tent over the tops. Recipe Attribution: “Pumpkin Spice Bread” is inspired by, “Pumpkin Bread,” p. 132, in the “Better Homes and Gardens New Cook Book,” Special Edition, 2007 and also takes some inspiration from Libby’s pumpkin pie recipe (a familiar pumpkin pie recipe I grew up with). 1. 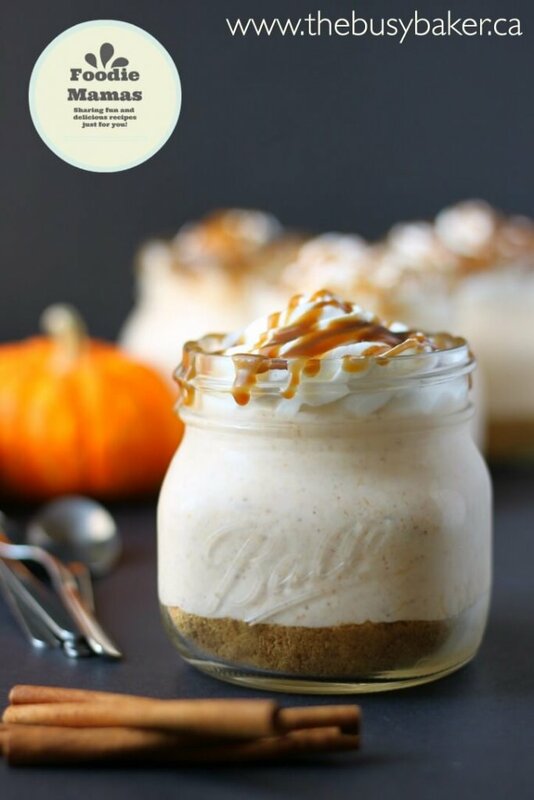 No-Bake Mason Jar Pumpkin Cheesecake from Chrissie Baker at The Busy Baker – Are you thinking about what a scoop of this delicious No-Bake Mason Jar Pumpkin Cheesecake tastes like? Because I am! 2. 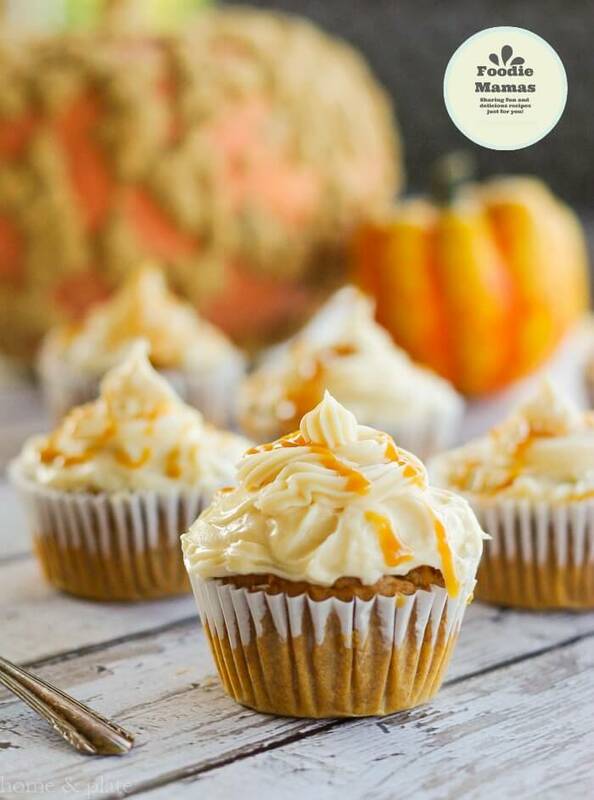 Harvest Pumpkin Cupcakes with a Salted Caramel Frosting from Ali at Home and Plate – These perfect cupcakes are just lining up to be eaten, why not make some of these today? 3. 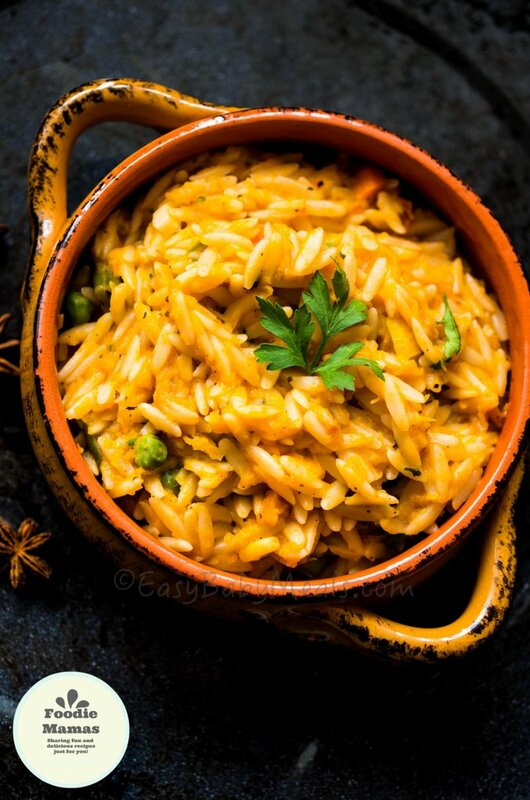 Pumpkin With Orzo Pasta from Deepika of Easy Baby Meals – A warm bowl of this Pumpkin with Orzo Pasta on a cool, crisp Autumn day sounds like comfort food to me! 4. 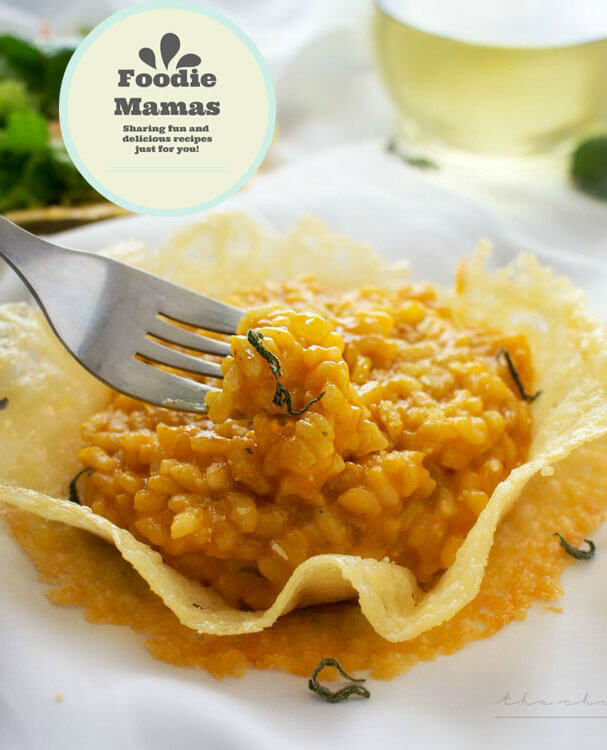 Pumpkin Risotto in Edible Parmesan Bowls from Amanda at The Chunky Chef – Impress you guest (and yourself!) with this Pumpkin Risotto and here’s a bonus, you can eat the bowl! 5. 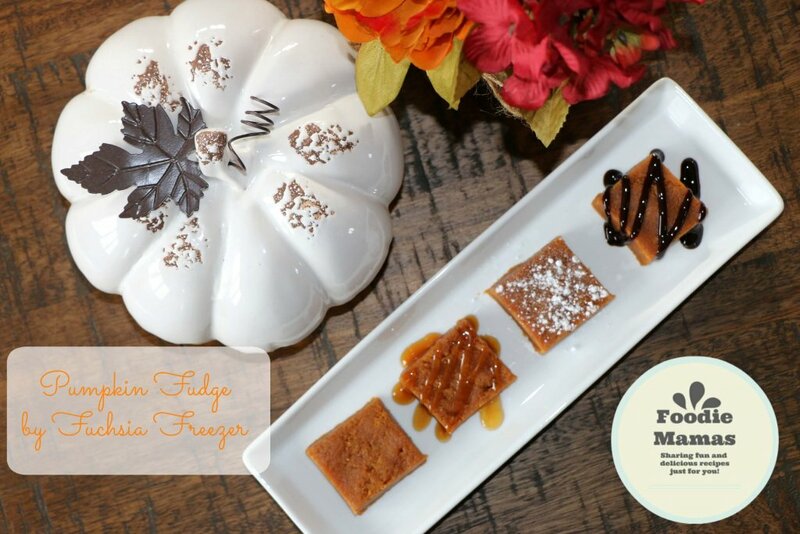 Pumpkin Fudge from Kaitie at Fuchsia Freezer – Who wouldn’t want a bite of this amazing fudge topped with your favorite toppings of course! 6. 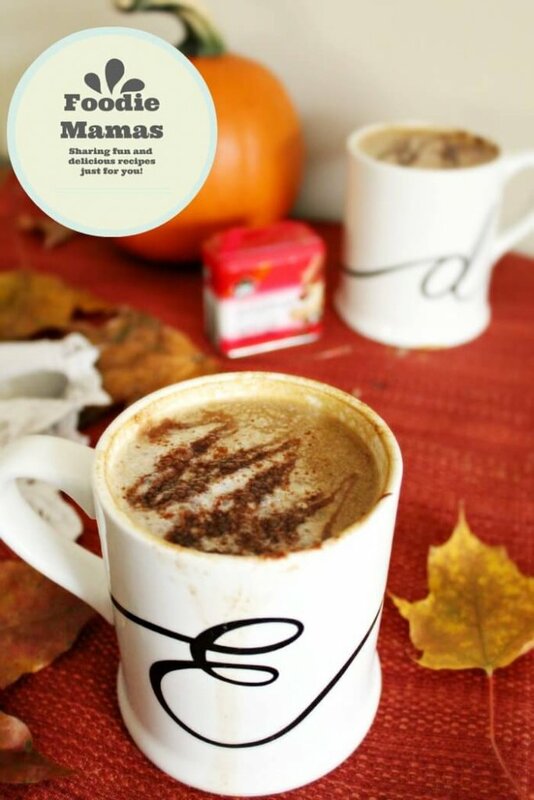 Homemade Vegan Pumpkin Spice Latte from Emily at The Best of this Life – Finally a Pumpkin Spice Latte that everyone can have! It looks so warm and delicious! 7. 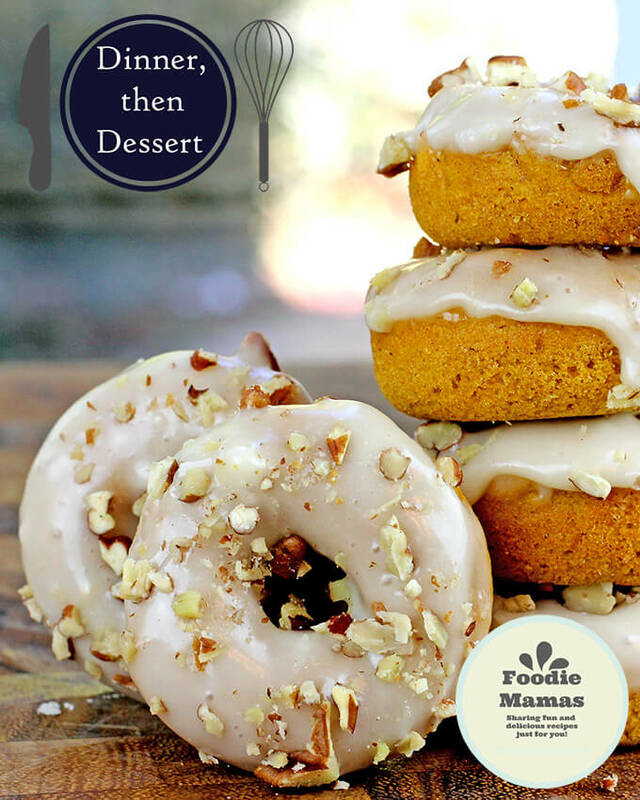 Baked Mini Pumpkin Pecan Donuts from Sabrina at Dinner, Then Dessert – Oh, what a way to end – on a high note – with these icing & nut topped donuts, give me a bite! I want! I want! Thank you for reading my first contributing post to the #FoodieMamas Monthly Recipe Roundup! This was so much fun, I can’t wait for next month, stay tuned! Hi Cristie, thank you for visiting! Tis the season! Referring to pumpkin. Your pictures are great! Thanks for sharing. 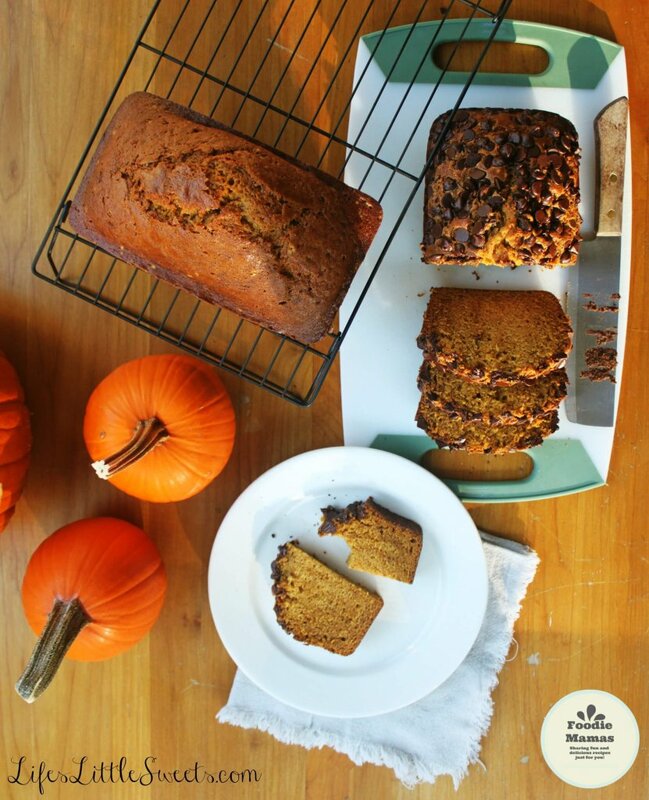 I cannot get enough pumpkin bread! Ugh, it’s so good! I like that you include all those pictures showing the process of making this too – I think it’s super helpful for visual people like me who like seeing how things are done. Thanks for sharing! Hi Teresa, yes, I am all about customization! Thank you for visiting LLS! Hi Nicole, thank you and thank you for visiting! I’m sitting here drinking coffee and wish I had a piece of this bread – it would go perfect! Hi Deb, I am sending you a virtual loaf! I am a huge coffee lover myself 🙂 Thank you for visiting! Hi Lucy, it is a pleasure, FFF is one of my favorite link parties, there is always so much inspiration shared on there! Thank you for visiting!